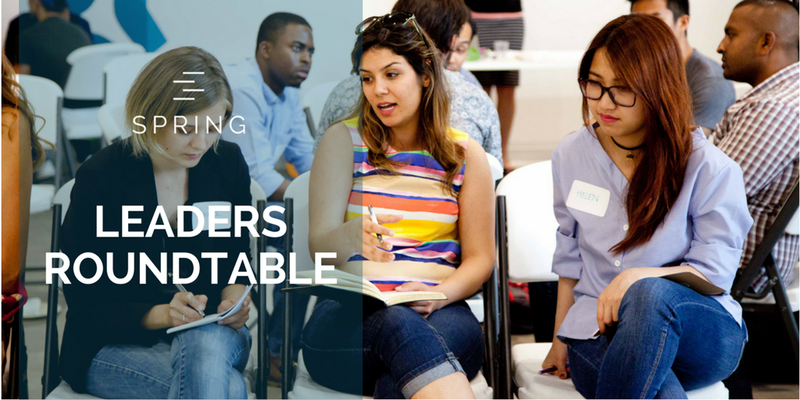 Becoming a Member at Spring comes with a whole bundle of opportunities for growing entrepreneurs. For example, you can talk strategy with our Entrepreneur in Residence; get legal, accounting, and insurance advice from partners; and attend exclusive startup events in the area. In a Nutshell: ZenHub is a project management tool that integrates natively within GitHub’s user interface. Why We Love Them: ZenHub is super simple, intuitive and addresses all the pain points in tracking development work, breaking activities down into digestible chunks. Essentially ZenHub is your vehicle for saving time and simplifying processes whilst managing projects through data tracking. Member Perk: Spring Members get a free annual license to ZenHub that’s worth $50USD. In a Nutshell: Collage HR is a next-generation online platform built for small businesses that make managing HR a lot easier. Why We Love Them: Collage is a great looking integrated platform that is super intuitive and great to use. It helps you manage employees, create an employee self-onboarding process, and manage time off as well as staff performance. It has built in automation to the employee journey, giving you back time to get to those team bonding activities! Member Perk: Buy group benefits and get up to $30 discount per year for each employee. In a Nutshell: Hubspot is an inbound marketing and sales platform that helps companies attract visitors, convert leads, and close customers. Why We Love Them: The platform is great at aligning sales and marketing together with inbound methodology and has a super useful marketing dashboard that gives you quick insight and saves you time in the process. There have the Hubspot Academy which offers a ton of courses so you can use the platform as effectively as possible. Member Perk: Get 90% off year 1 and 50% discount in year 2. In a Nutshell: Mobi is Vancouver’s public bike sharing program is part of the City’s vision of promoting cycling as an integral part of daily life. Why We Love Them: What better way to get from A to B than cruising there on a bike! This city-wide initiative is playing a huge role in making fitness and health accessible in Vancouver through the sharing economy. Member Perk: 1-year Membership for $99 of unlimited 30 min rides (down from $129), or $119 (down from $159) of unlimited 60 min rides. In a Nutshell: A single platform for email campaigns, push notifications, SMS, SMTP service, that maximizes open rate resulting in a 50% open rate increase on average. Why We Love Them: An increase in open rates? Yes, please! Sendpulse has analyzed data from millions of subscribers to predict the best time and channel to deliver messages to each individual user. Bonus love is for the customer services team who are incredibly quick to respond to any questions you may have. Member Perk: $5,000 grant for one year on their email, web push notifications and SMTP services, consultations with Sendpulse mentors, a personal tutor, and templates created by their designers for your email campaigns. You’ll be set from here! In a Nutshell: The HiVE is a coworking space in Gastown that is the heart of supporting and amplifying the social impact sector. The space itself is made up of non-profits, for-profits, entrepreneurs, creatives, activists, professionals and techies who together have skills in finance, green building, education, food systems, sustainability, law, design, community development, and everything in between! Why We Love Them: HiVE’s Gastown location is managed by a wonderful team of ‘Bees’ who help make your working day as effective and supported as possible. We love the space for the like-minded individuals and organizations that use it, and the opportunities for collaboration. Member Perk: Free set-up (usually $50 for hot desk memberships and $100 for permanent desk memberships) on all memberships and $100 off their first month of HiVE 50 or more. We’re always adding new perks and discounts for our members to enjoy. Check back again next month to discover more. Want in? Join today to take advantage of all these perks and discounts and more!